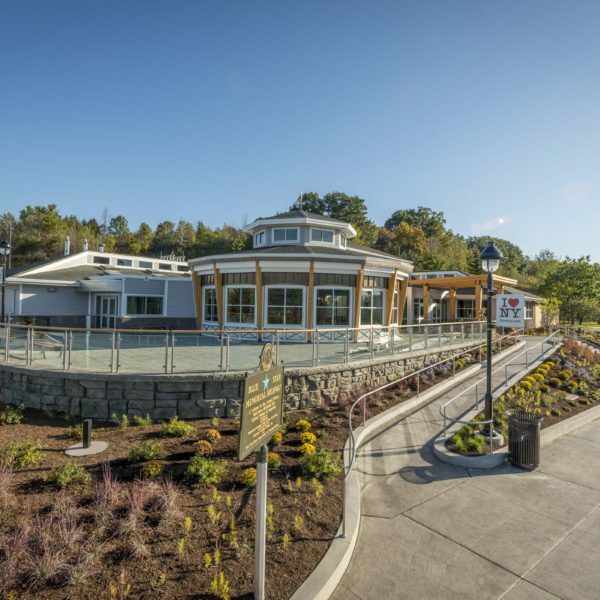 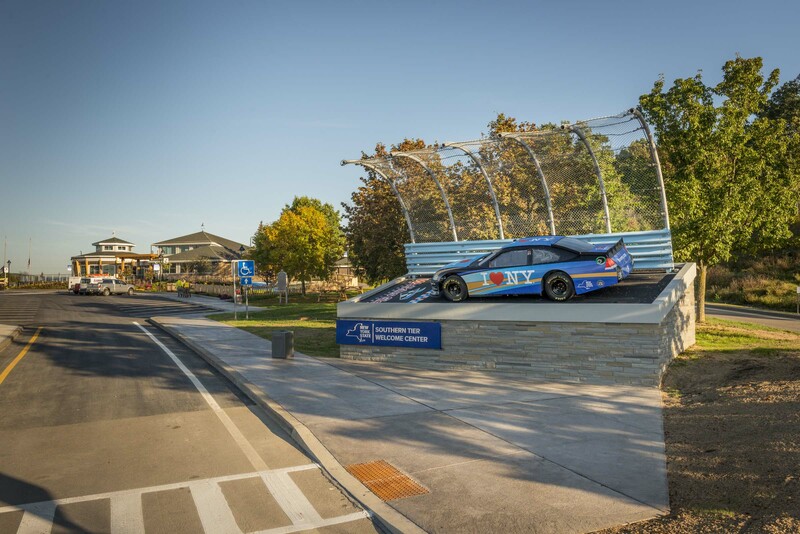 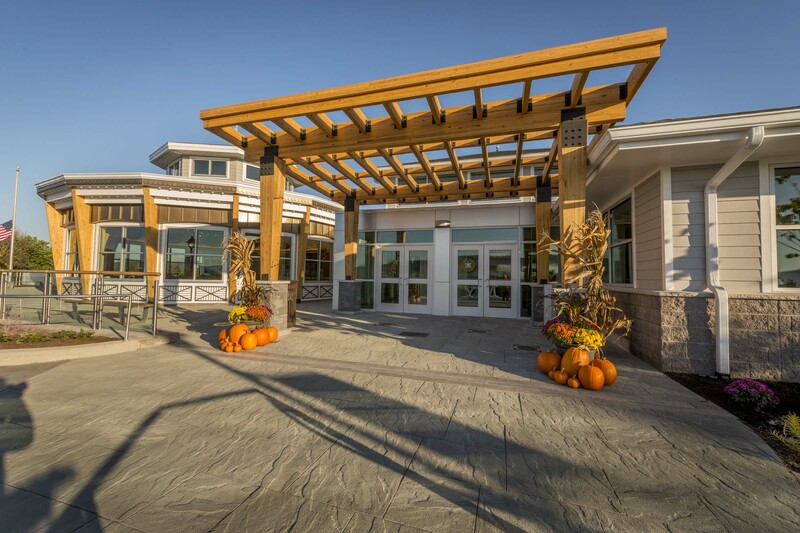 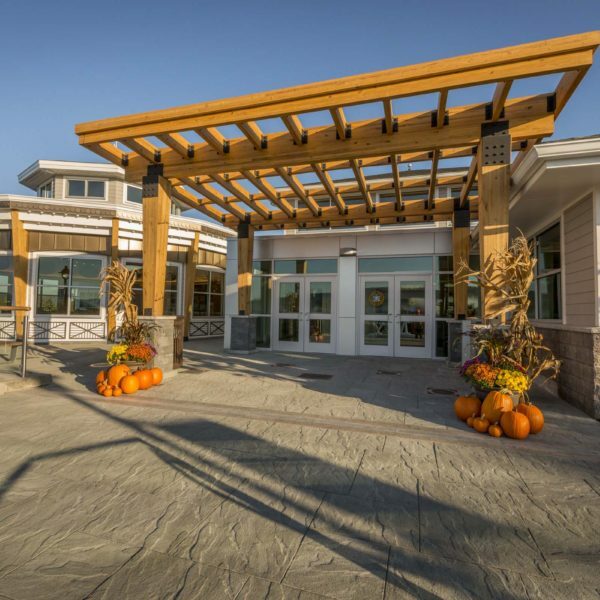 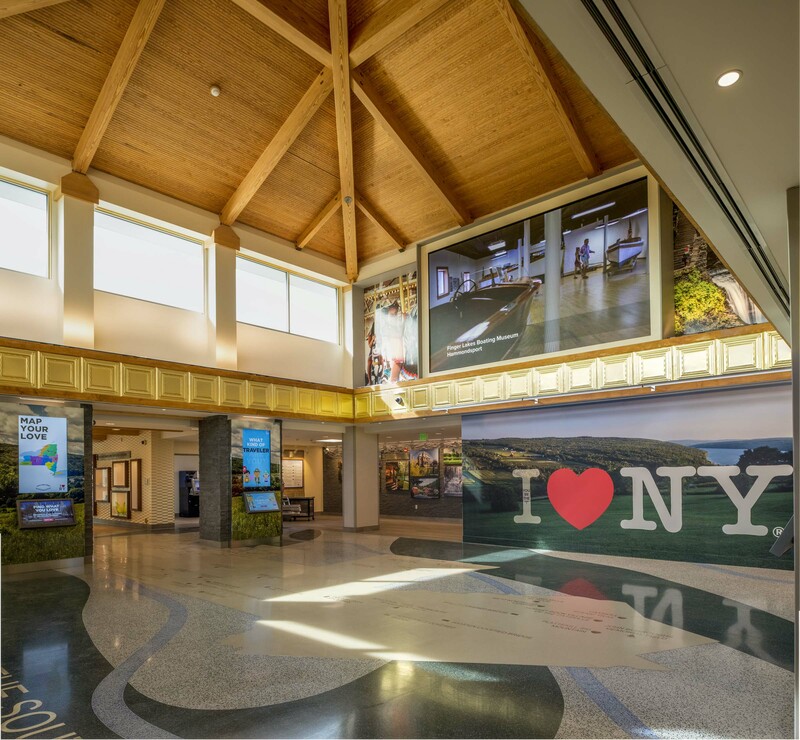 This project consisted of renovations and additions to the existing facility transforming it into a state-of-the-art Welcome Center and rest area on Interstate 81 northbound in Kirkwood, Broome County. 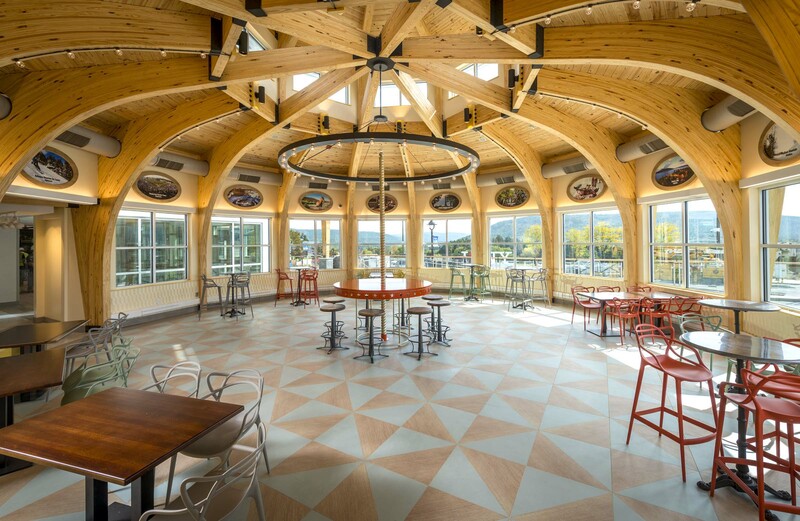 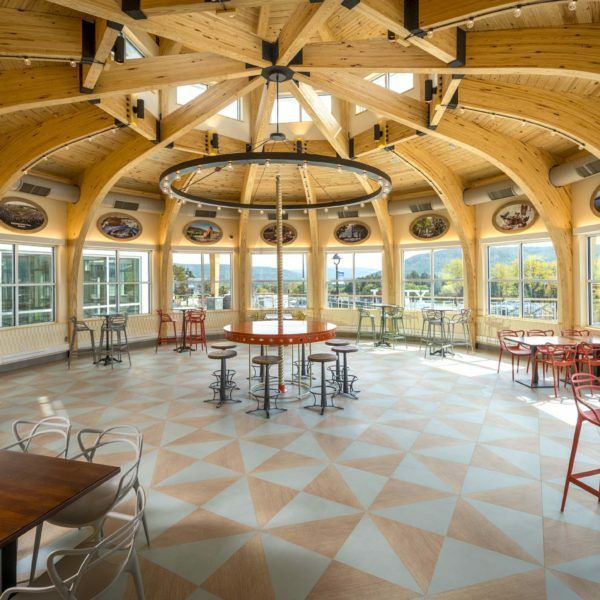 Work consisted of constructing a 16-sided glued laminated timber carousel, timber frame entrance; relocating structural columns; modifying bearing walls; and installing a jumbo-tron television, wine tasting bar and one of the most intricate terrazzo floors ever designed. 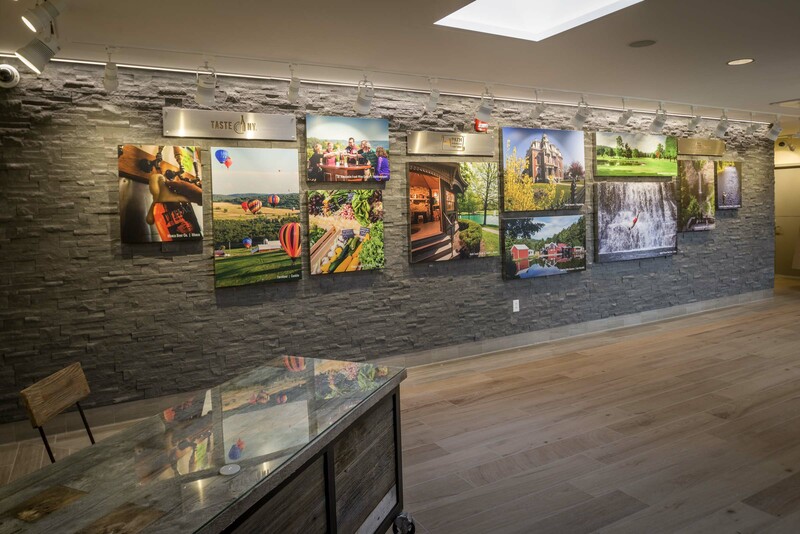 All work was completed within an aggressive time frame. 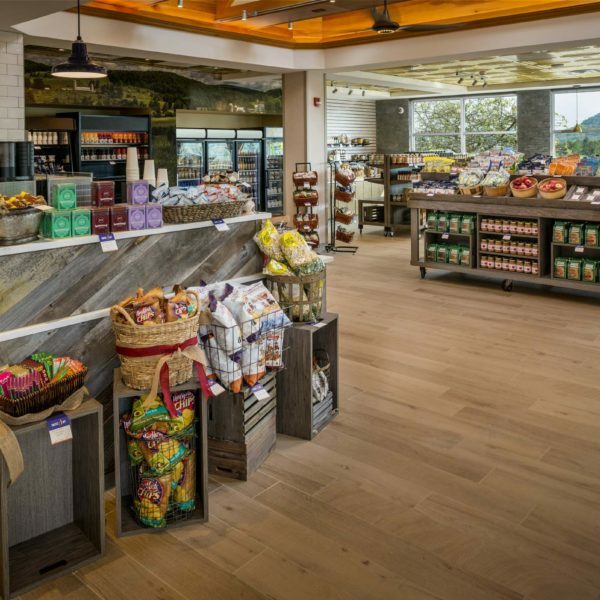 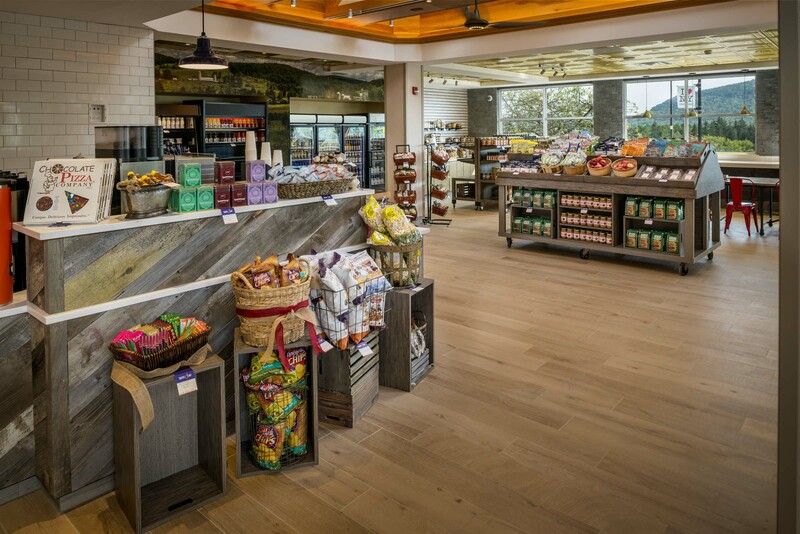 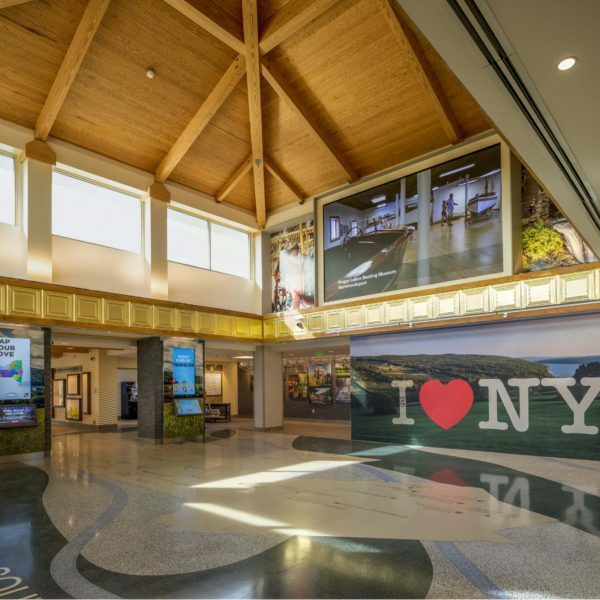 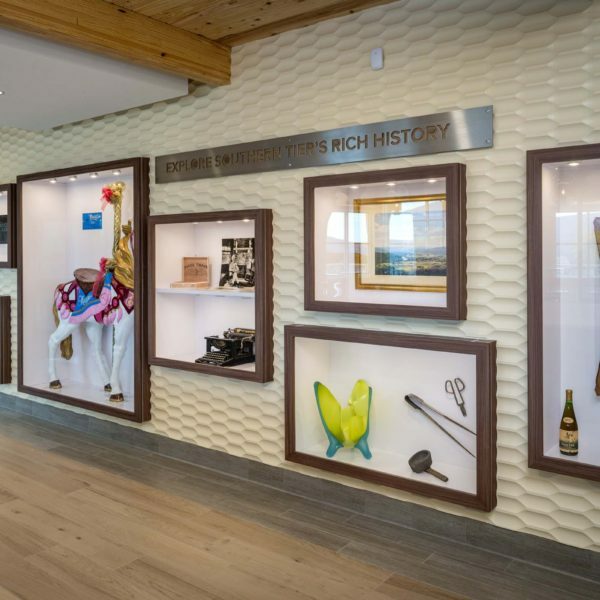 The new Welcome Center promotes New York’s food and beverage products and has a full Taste NY section where visitors can purchase goods from all over New York State. 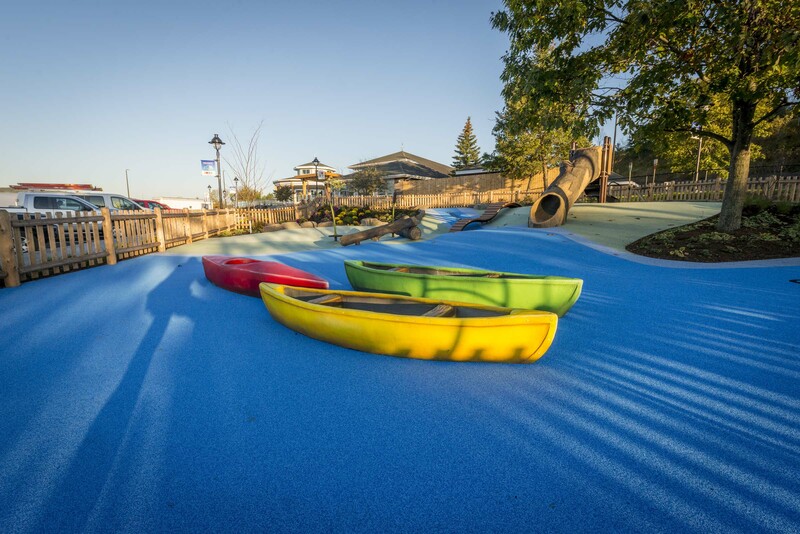 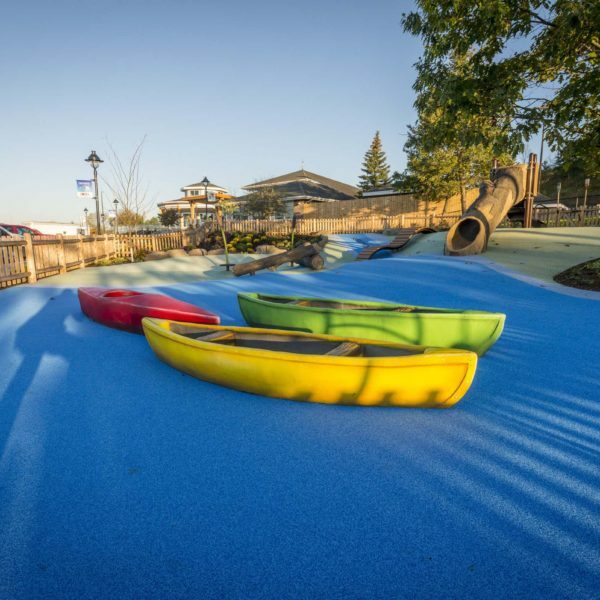 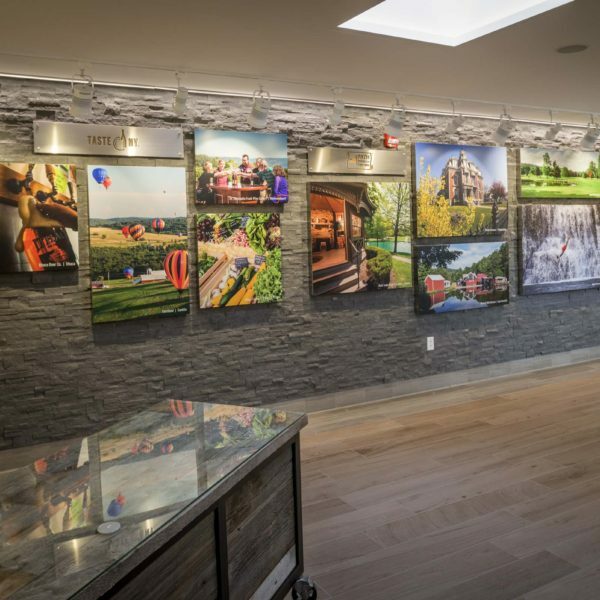 The center also has electric car charging stations, large photo displays of tourist attractions, an interactive touch-screen trip planner, a canoe/regatta-themed playground and a pet comfort area. 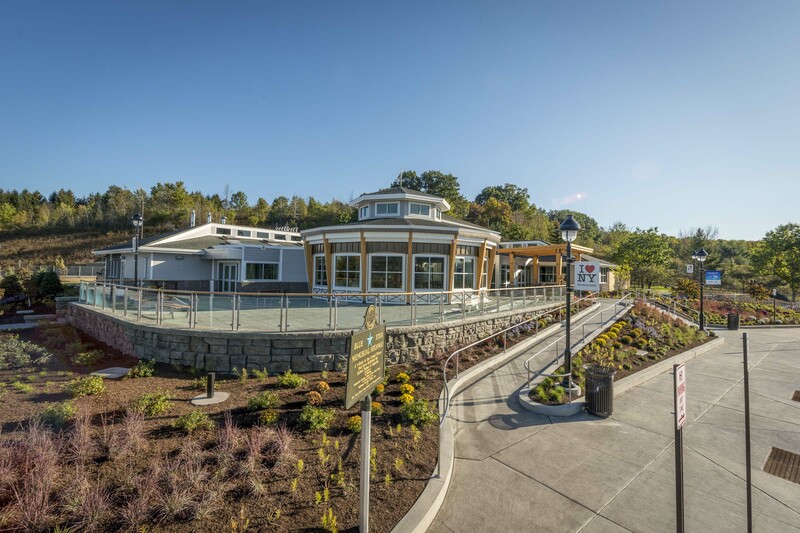 "With work commencing immediately after Memorial Day, your crews worked diligently and cooperatively with the design team, the other contractors and the DOT staff assigned to the project, to make this rest area transform into a Welcome Center in the shortest time imaginable. 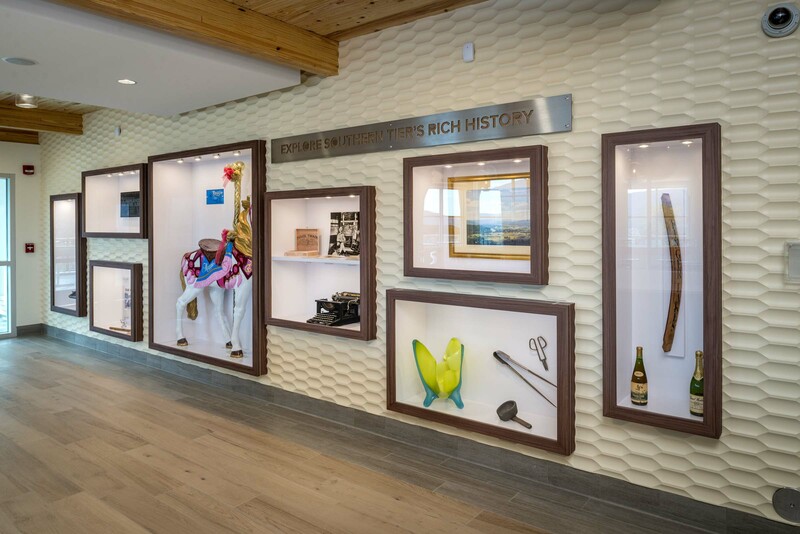 The effort was nothing short of heroic."